Are you thinking about learning Portuguese? The effort will pay great dividends in helping you integrate with your local community. On first encountering it, Portuguese looks and sounds like a hard language to learn, thanks to some unusual pronunciations. Words often sound nothing like they look like they should on paper, which adds an extra level of complexity beyond merely picking up the vocabulary. With these two simple pronunciations you’re already half way to sounding like a local! However, making an effort to learn the language is hugely worthwhile if you plan to spend extended periods in the country. While it’s possible to get by in English in tourist areas and major cities, if you’re planning to integrate and truly understand the country, every extra word you learn of the language will make it easier. Move out to the countryside and if you can’t speak the local language you’ll have to make do with sign language! Here are some tips to help you on the way. As mentioned earlier, there are some unusual pronunciations in Portuguese that make it hard to learn the language from merely reading it. Examples include where an “s” is found at the end of a word; This is pronounced as a “sh” sound. You often also see “nh” used together in words (i.e. rainha), which is pronounced as a “ya” sound (rain-ya). Think of like the ñ that you’ll have encountered in Spanish. Got it? With these two simple pronunciations you’re already halfway to sounding like a local! 2. Make sure you learn the right Portuguese! 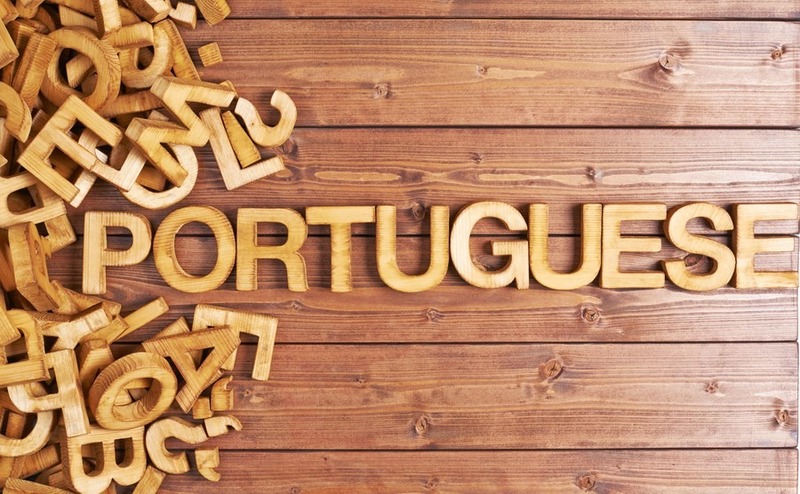 There are two different versions of the Portuguese language – European and Brazilian. Unless you plan to move to Brazil, you need to ensure you learn the European derivative. Even though the differences aren’t huge (something akin to the difference between UK English and American English), it still makes no sense to learn the wrong one. Language tapes and courses are fantastic tools, but there’s no substitute to learning a language with native speakers. Courses tend to impart a very clear “Queen’s English” version of languages, which is fine, but just like in the UK, it’s often dampened down with accents and slang. Conversing in Portuguese as it’s actually spoken is the best way to learn. In Spain, most TV shows are overdubbed in Spanish, but that’s not the case in Portugal (although kids’ TV is a notable exception). This means there’s a learning resource just waiting for you, in the form of movies and TV shows that are played in English with Portuguese subtitles. Supplementing your other learning with doing this regularly helps to crystallise the vocabulary in your mind. Persist in speaking Portuguese even if they reply in English, and explain you’re trying to learn. As so many people speak English in Portugal, it’s often the case that the person you’re speaking to will speak English better that you speak Portuguese. This often leads to the temptation to switch the conversation to English to make life easier for everyone. To avoid this causing you to miss out on learning opportunities, try to persist in speaking Portuguese, and explain you’re trying to learn. Invariably your efforts will be appreciated!